Let’s start with explaining what positive and negative reinforcement is. Then I will share what was a real eye-opener for me about the difference between positive reinforcement (R+) and negative reinforcement (R-). It is not so much the obvious difference (the carrot or the stick-difference), it’s way cooler! Positive reinforcement: use of an appetitive in order to make a behaviour stronger (reinforce the behaviour). Negative reinforcement (R-): taking away an aversive in order to make a behaviour stronger (reinforce the behaviour). In R+ trainers use mostly food rewards because food is of high value to the horse. In R+ the use of a marker signal (often a sound, eg a click) is used to communicate to the animal what behaviour the horse was reinforced for, not the moment of offering the appetitive. Clicker training is an example of positive reinforcement training. In R- trainers use mostly pressure to communicate. The moment of taking away the aversive is the way to communicate to the horse what behaviour the animal was reinforced for. Traditional training and natural horsemanship are based on negative reinforcement. It is not the food or the use of a marker in positive reinforcement that is the biggest difference. It is the way the horse responds in training that is the real difference. in positive reinforcement it's the animal that raises the criteria. In other words, in R- the horse will not offer behaviours spontaneously (because there is no reward involved for the animal). The ‘release of pressure’ is not a reward: the horse will not offer ‘more behaviour’ in the hope of a more severe aversive ‘in order to earn a bigger sense of relieve’. In R- the horse learns to avoid or prevent the aversive all together by anticipating his owners behaviour, but he will not actively seek ways to improve the behaviour since there is nothing in it for him if he does. If the trainer wants to create more of a desired behaviour or better quality behaviour he uses an aversive to communicate that he wants something different now (raising criteria). In R+ the horse keeps actively looking for ways to earn the appetitive reinforcer by offering more of the desired behaviour. The horse learns he can influence the appearance of an appetitive by anticipating the behaviour. He will actively look for ways to earn the reinforcer and therefor will raise the criteria on his own by offering more of the desired behaviour. For me this way of approaching the difference between R- and R+ was a real eye-opener! I suddenly realized that not everyone is looking for a horse that learns to think and comes up with solutions on his own! Personally I think this is a tremendous asset in training animals. It can sometimes be a challenge to channel this motivation, but if you know how you can achieve spectacular results! It not only helps speed up training but it also benefits the relationship with the horse: he wants to train with you because there is something in it for him! I also realize that this is exactly the same reason it can be such scary thought: a huge animal that thinks he is entitled to his own ideas (he is!). What if this is turned against the trainer? Then what? What if the horse decides not to cooperate… does that mean he doesn’t like you or your training? What if the horse ‘decides to let you down’? What if… this is not the case at all? What if the horse mostly doesn’t cooperate because he simply doesn’t understand the question? Or he won’t do it because he is afraid? What if he is allowed (and encouraged) to communicate his concerns or fears? Would that benefit the relationship? I think it does! The beauty of herd animals is that they are hard-wired to cooperate: the drive to work together in order to keep safe and survive is so strong they can’t ignore it. That’s the same reason we could domesticate them in the first place. I think it is amazing to see how much horses put up with in order to cooperate. That’s the very same reason you can train them so well with negative reinforcement: their will to stay safe and survive is so strong. Anyway this fact was food for thought for me. What about you? 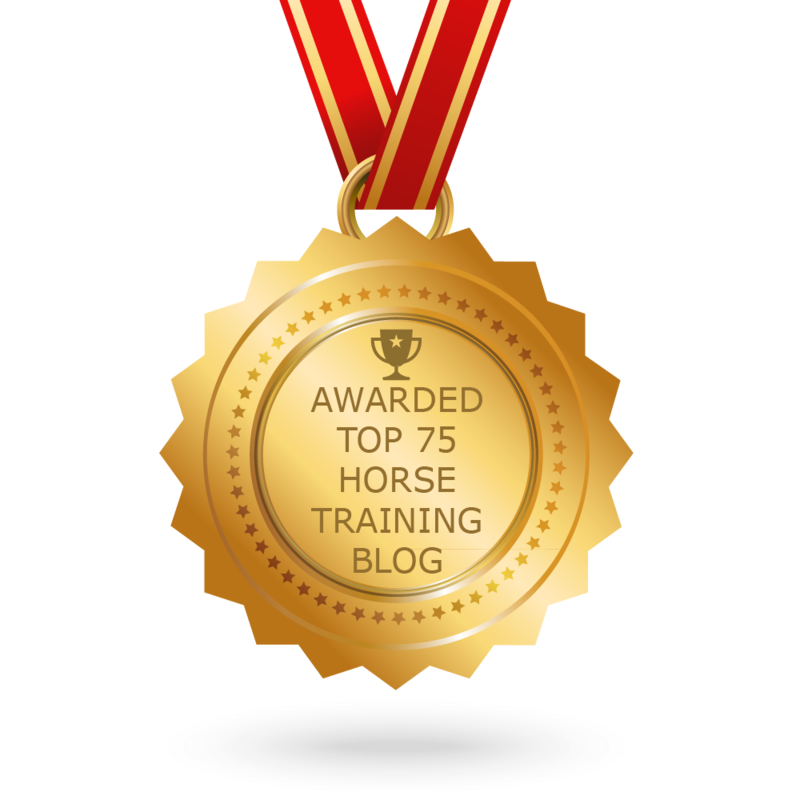 Are you afraid or delighted to let your horse raise the criteria and have a say in his training? for the trainer (the trainer gets what he wants: desired behaviour).